When it comes to pie, you can never get enough of it!! Pie is one of those great desserts that is perfect any time of year, especially around the holidays. 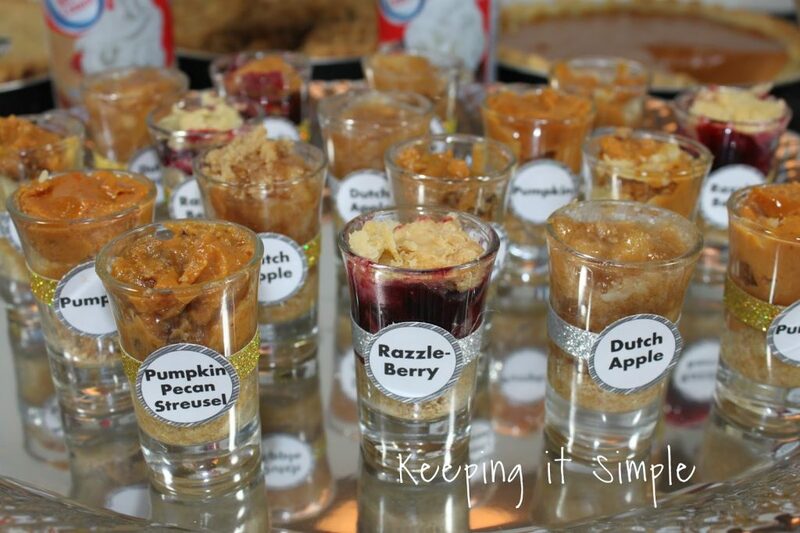 I love that there are so many different flavors and crust styles so you can please everyone at a party or gathering. 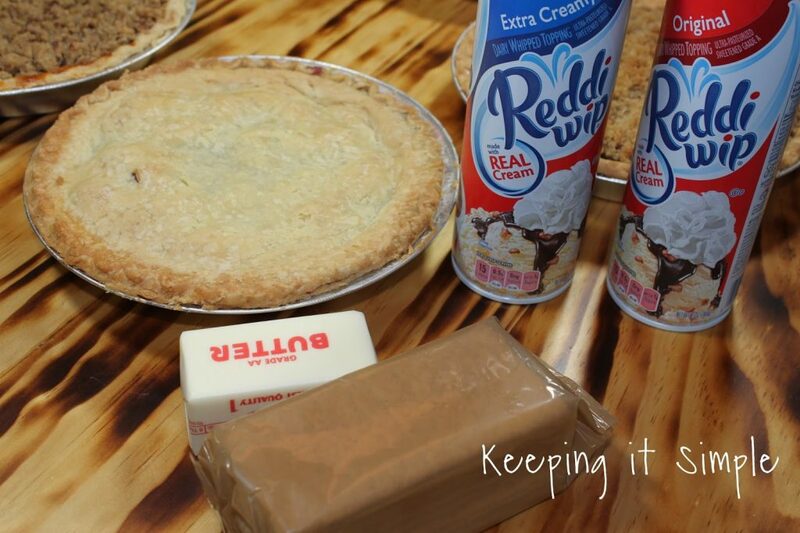 If you are entertaining any time soon, this pie bar is a great idea. 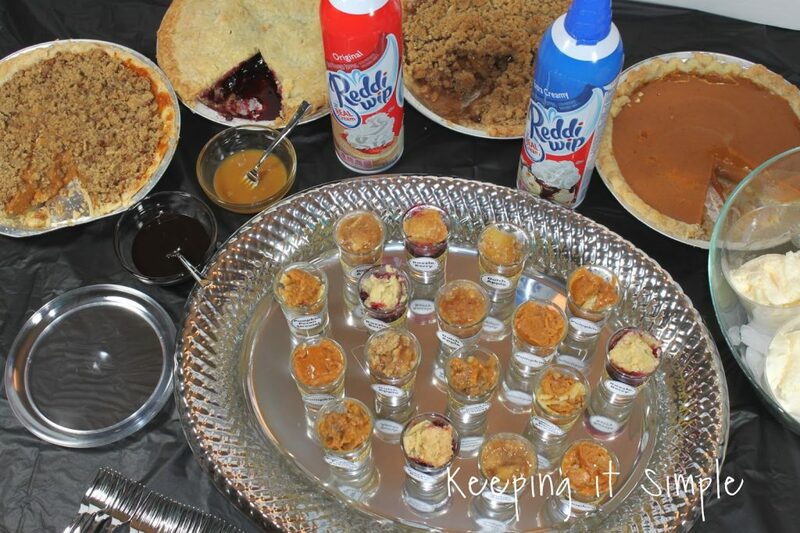 You can get as many pies that you want, have some yummy toppings and even add ice cream to make it a la mode. 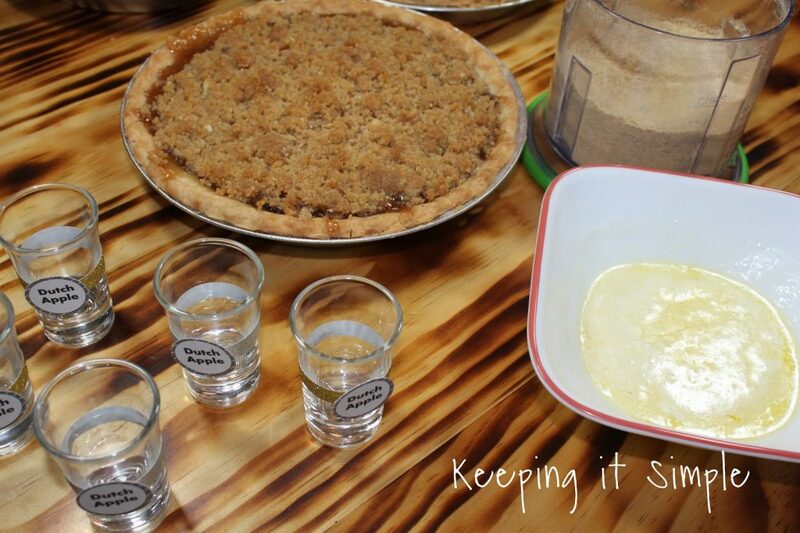 One more idea for the pie bar is making little samples of pie for the guests. Sometimes I want to try a lot of different flavor of pies, or I want more than one kind of pie but I don’t want a full piece of each pie. 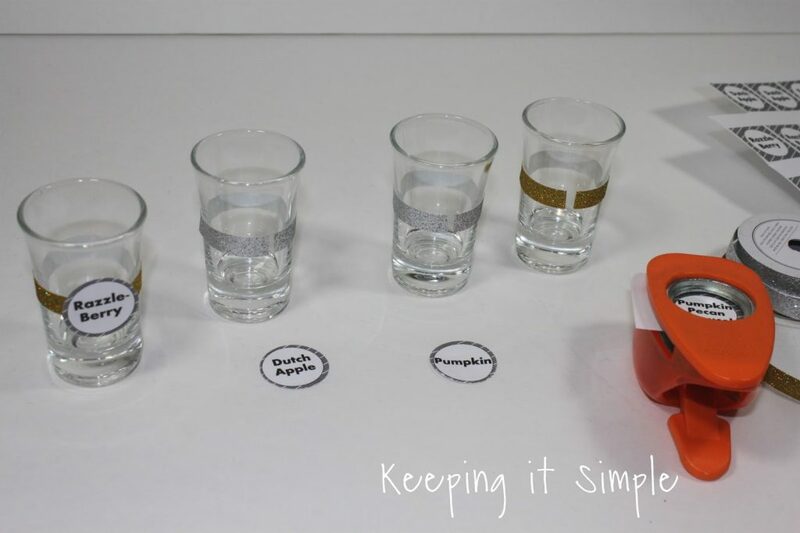 So these little samples are perfect for that. I can have 4 different flavors but not have to have 4 full pieces of pie. 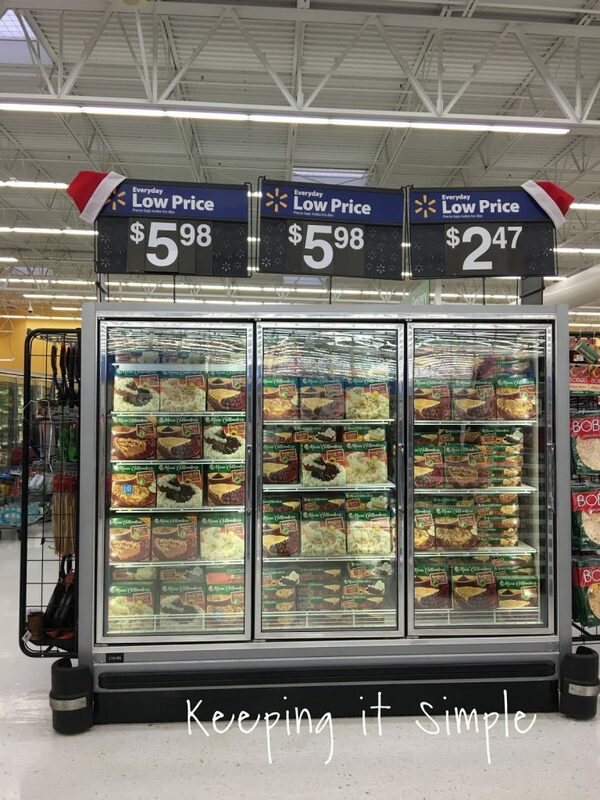 I headed to Walmart and picked up everything that I needed for the pie bar. 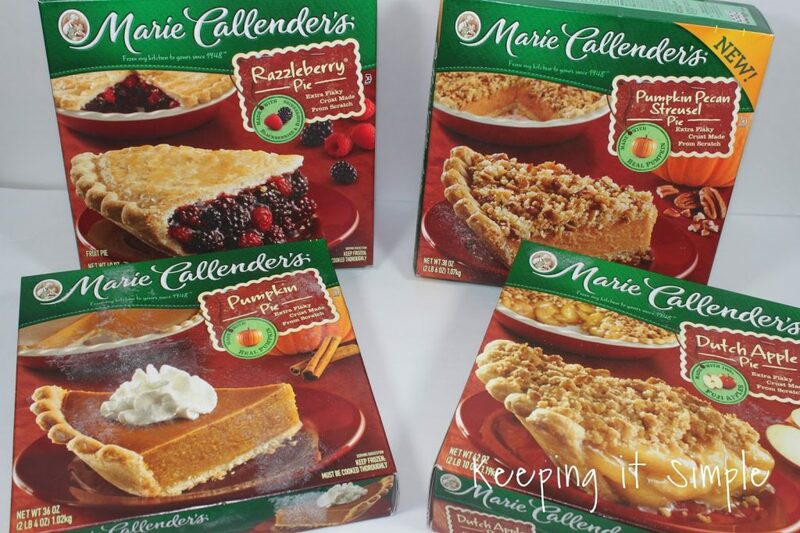 Marie Callender’s® Dessert Pies come in so many different flavors and crusts. I found them in the frozen dessert section and on the end cap in the frozen section. For my pie bar I picked up 4 different flavors. 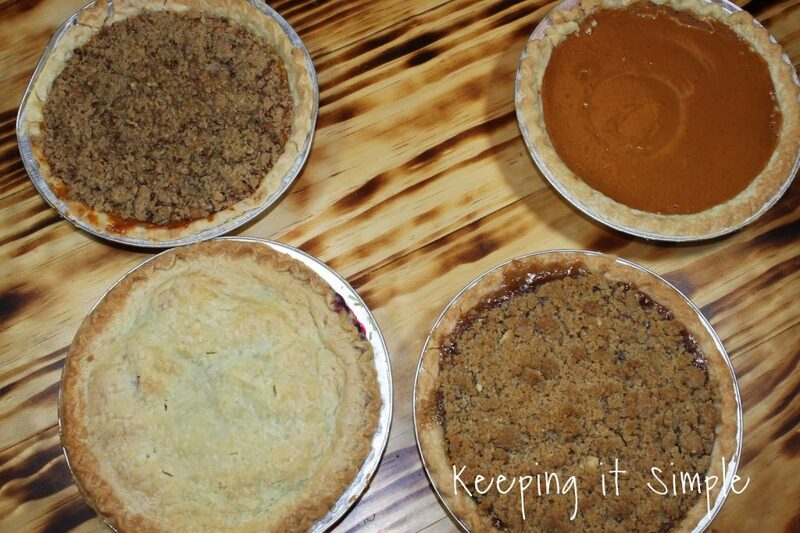 Pumpkin, Razzleberry, Dutch Apple and Pumpkin Pecan, Streusel. I baked all the of the pies according to package. For a nice golden crust, I wrapped the crust with tin foil (it also helps to not burn the crust). While the pies cooled, I made the little jars for the samples. 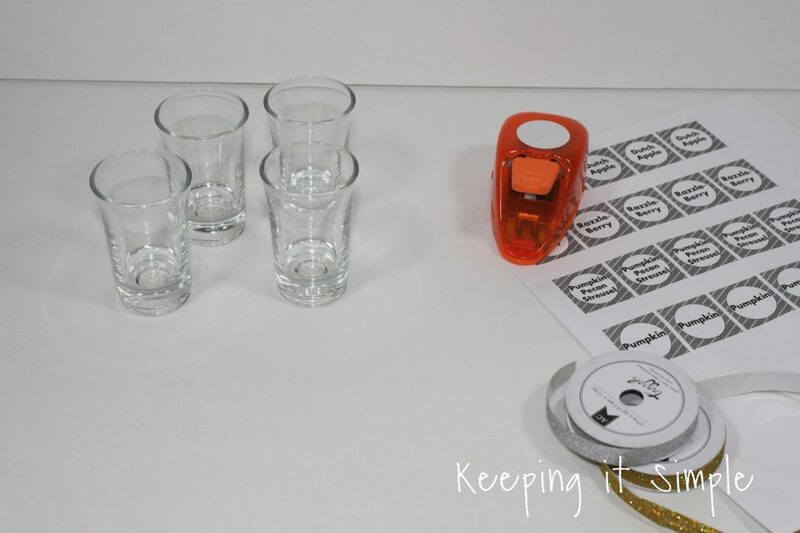 I picked up some dessert jars and then made up a fun printable to go on them. I put some glitter washi tape onto the jars, punched out the printable out with a circle punch and then glued it onto the jar. You can get the printable here. 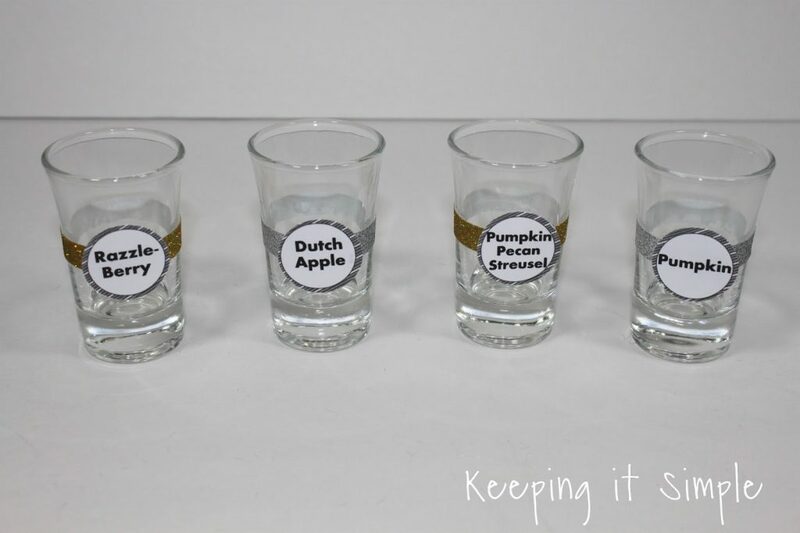 Here are what they look like with the 4 different pie flavors. 1) Crush up the graham crackers and melt the butter. 2) Add one tsp of graham crackers and 1/2 tsp of butter into the jars. Mix together and spoon down into jar. 3) Add the pie into the jar. And that’s it! Super easy and super yummy! For the pie bar I had the full pies (because I know that people will want a full piece), the samples, whip cream, ice cream, and caramel and chocolate syrup. When it’s time to eat, you can add some yummy whip cream to the little jar and some caramel and you have a super tasty treat! 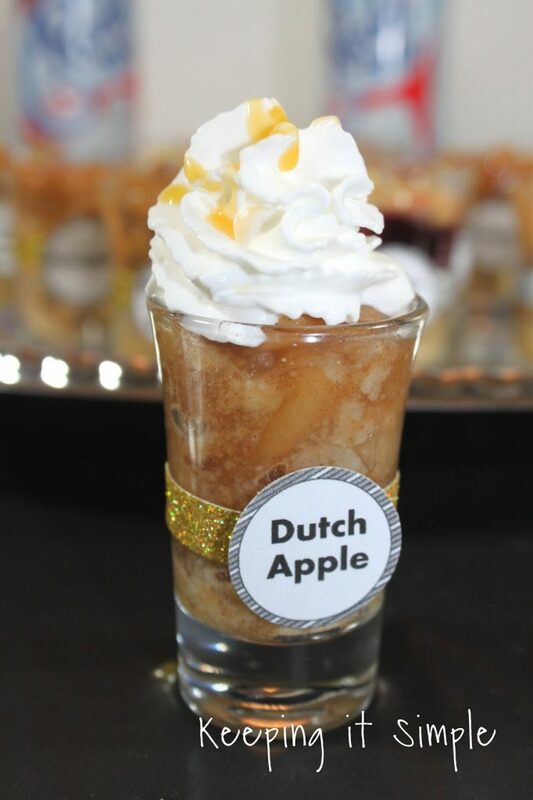 It was sooooo good, the Dutch Apple was my favorite. These pies make a great gift too, give someone a yummy pie with some whip cream and it’s perfect for a neighbor gift, plus it’s super easy too! It’s a great way to share the joy of pie!! What is your favorite kind of pie? 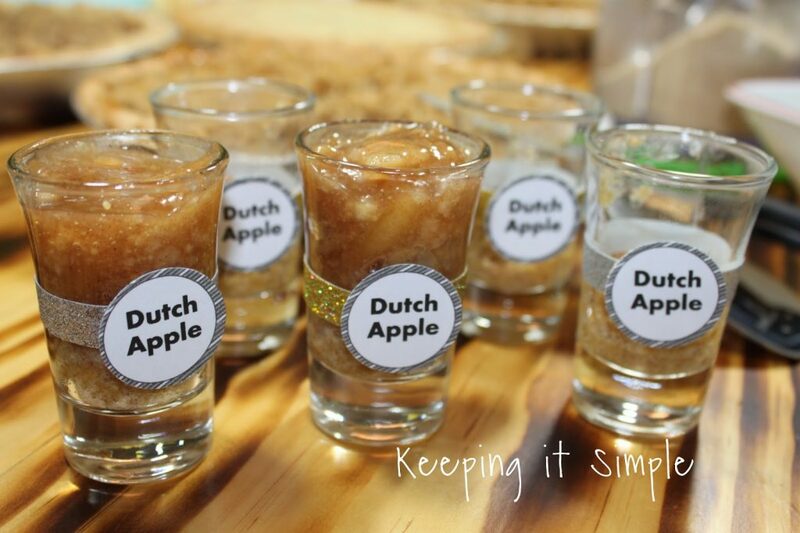 I am definitely an apple pie girl. Make sure to check out this website to get more recipes and inspiration for creating with Marie Callender’s® Dessert Pies.